Plastic is bad; We get it. Plastic is a problem. Plastic is everywhere. Plastic is in the bellies of little baby birds, around the necks of turtles, filling up our landfills with nowhere to go, and no visible answer in sight. 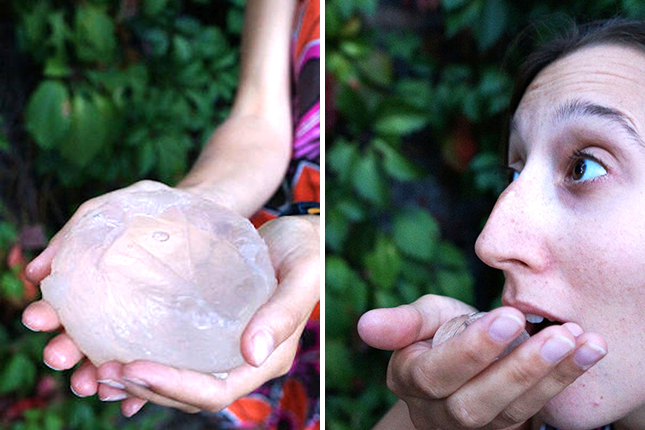 A possible answer is here in the form of – get this – an edible sphere of water. It’s called Ooho! (which is probably pronounced the way you read it in your brain, exclamation mark and all). The winner of a 2014 Lexus Design Award, Ooho!, is the brainchild of a group of London-based design students. Rodrigo Garcia Gonzalez, Pierre Paslier and Guillaume Couche have reworked an old culinary concept last seen in kitchens that practise molecular gastronomy, called ‘spherification’ – turning liquid into spheres (read: blobs) held together with a gelatinous membrane. By combining sodium alginate from brown algae with sodium chloride, a double gelatinous membrane is formed, creating a film around the water, which is frozen to make it easier to work with. It does not sound very appetising, but it sure is edible and also incredibly strong. So now, you can eat your water bottle, instead of throwing it away or reusing it until it looks all funny from being in the sunlight too long. Ooho! 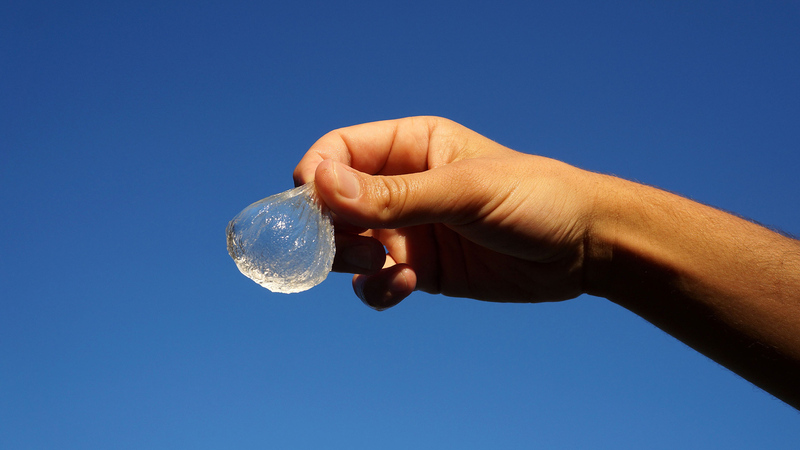 offers a biodegradable, edible alternative to the plastic bottle. Did we also mention that each can be made for about two cents? (Two cents!!) 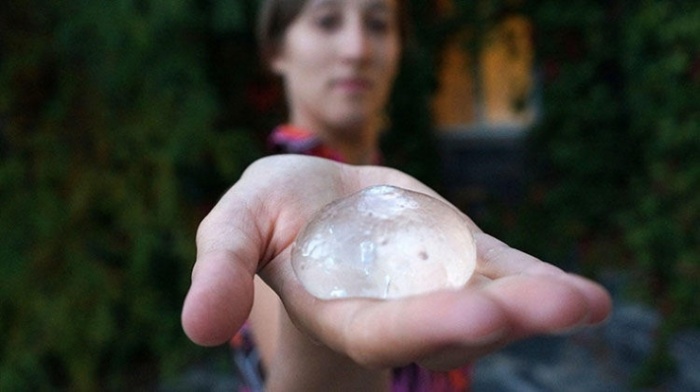 Cheap and edible water containers sure seem to be the future of alternatives to plastic. This could help save our landfills, and with such low production costs, may even help solve our global water crisis on a larger scale. Since the membrane is double-layered, it means labels can be placed in between them should mass production ever come a-knocking. The labels can also be edible if made from materials like rice paper, giving us a total waste production of zero when consuming the water blob. 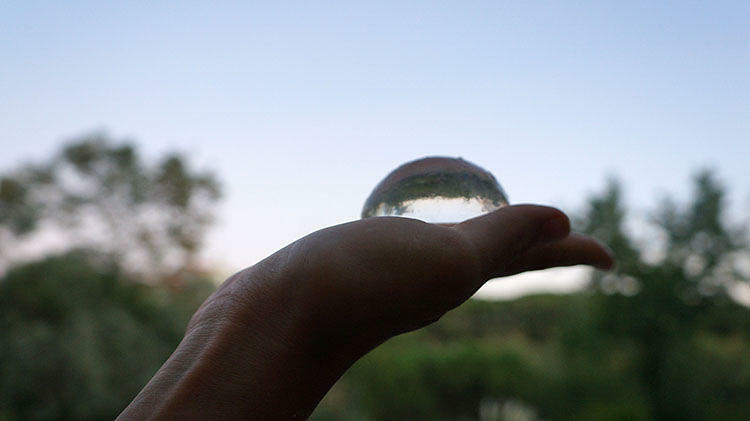 While the sphere isn’t very user-friendly just yet – problems include more water ending up on your face than in it – the students who designed it envisions a future where the design can be perfected by the layperson in their own kitchen. While we’re waiting on the future to get here, share your plastic-reducing ideas with us in the comments!